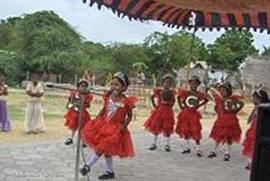 An unbelievably scintillating dance performance by Class IV students. Students enacted a wonderful English drama - portraying how the Devil of Religious Intolerance can be subdued through love. 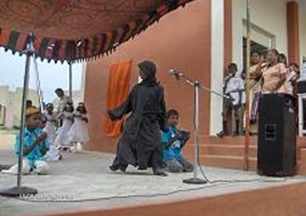 Children of Class II presented an English play - Unity is Strength. 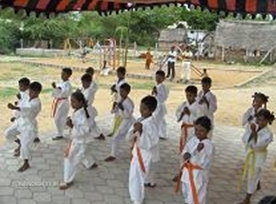 Our Karate kids put up their usual breath taking performance under Sensei Ravi Krishnan and Sensei Murali. Ocassion also saw Mr Kishore Reddy unveiling a plaque dedicating classrooms to our large-hearted donors. Mr Vinu Dev Sachin, Senior Inspector, Railway Protection Force has started a novel way of Spoken English, Moral Values and Reading habit - through Story Telling. 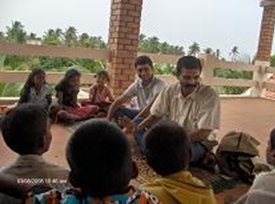 Every Sunday at 10 am our children are enthralled by Vinu's tall tales. Mr Laxshmi Narayanan, also with the Railway Protection Force, brought in his own speciality and taught our children dancing - it was one delightful Sunday with dancing and stories. Do join us every Sunday if you can make it - and bring in your own specialty to share with our children! 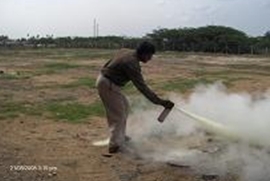 Our teachers and staff were give training in Fire Fighting at School.Our school has always been equipped with adequate measures for Emergency Fire Fighting. 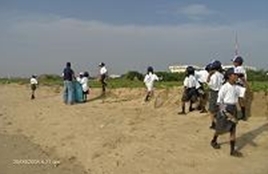 Our children also joined the Indian Coast Guard in their "Coastal Clean Up Day". 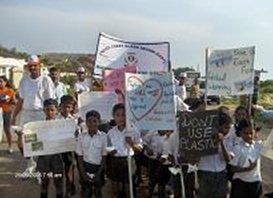 It was a nice way to bring in awareness and a sense of social responsibility to our kids. The kids simply had a whale of a time. Social responsibility can be made fun time too! With Commandant Chandola and Asst Commandant Priyanka of the Indian Coast Guard. 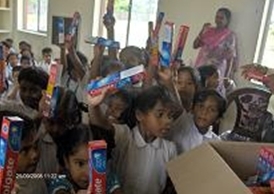 Yi (Young Indians) have once again come forward to bring our children a dental and health Check Up. 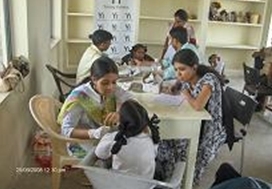 A thorough check of each child was done by a dedicated team brought in by Yi. Our heartfelt thanks to Yi for their continued support. 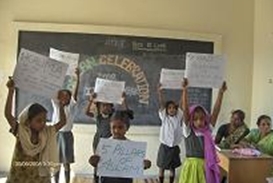 Children celebrated Eid by learning about the percepts that go behind the festival. As always the children were taught to appreciate the values behind ALL religions. have donated our school 2 computers. 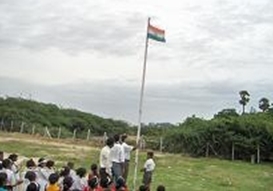 And the 3rd and 4th Standard teachers have started using the computers to aid them in their lesson plans and teaching. A dream slowly coming true of teaching the children through the visual medium - special thanks to Concor Women Welfare Organisation. Superior Cargo for air freighting books from Singapore free of charge for our children. "Lodge Archibald Cambell Charity Free Masons Hall" - who are sponsoring the new classroom!